I’m pleased to announce that I, along with appellate attorney Joseph Schneiderman, won a foreclosure appeal this week in the Massachusetts Appeals Court. The case, Nationstar v. Culhane (included below) concerns an important topic for appealing an eviction (“summary process”) case in Massachusetts: the importance of timely filing a notice of appeal. It would take much, much more than a single blog post to give the background on this case, or even the procedural history of this matter. Here’s a quick synopsis. The homeowner went through a foreclosure sale and faced a post-foreclosure eviction case by the foreclosing lender. In such a case, the homeowner has a right to defend against the eviction by alleging that the foreclosure was not lawful. Here, my client had a strong defense based on the lender’s failure to comply with paragraph 22 of her mortgage. My client won her case at the District Court, where the foreclosing lender filed this eviction case. Following my client’s win, the foreclosing lender appealed this case to the District Court Appellate Division. The Appellate Division is a part of the District Court and hears appeals of most civil cases from the District Court. The Appellate Division reversed the District Court’s decision, and ruled that the foreclosing lender should have won the eviction case. 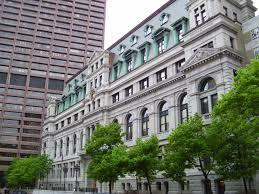 I then appealed the case to the Massachusetts Appeals Court, which hears appeals decided by the Appellate Division. The Appeals Court ruled in my client’s favor based on a critical argument we raised for my client: the foreclosing lender’s failure to timely file this foreclosure appeal. Massachusetts eviction law has a short deadline for pursuing an eviction appeal: ten days. As we argued to the court, previous decisions on this law hold that a failure to meet this deadline, for seemingly any reason, are grounds for dismissing the appeal. Here, the foreclosing lender filed its notice of appeal after the ten-day deadline, which the Appeals Court agreed was grounds for dismissing the appeal. This case has some really important lessons not just for a foreclosure appeal, but any appeal of an eviction case. The deadline for such an appeal must be timely filed. Often, the failure to timely appeal a civil case is not always fatal to one’s case; appeal courts have discretion to allow a untimely appeal for good cause. Not so with eviction cases. This case, along with many prior cases on this matter (discussed in the court’s decision below) suggest that there are few grounds for filing an eviction appeal late. For this reason, I always recommend that lawyers and parties representing themselves in an eviction appeal err on the side of caution when preserving a right to appeal. File the notice of appeal as soon as possible and make sure you have proof that the court and opposing party receive this notice. Take no chances on this. I have been known to jump in my car on the last day of the deadline to appeal and make a special trip to court if I have any reason to believe the notice of appeal was not timely received by the court. This case also demonstrates the importance of working with an experienced appellate attorney on one of these matters. The arguments in this case were highly technical and required a deep understanding of Massachusetts eviction law and appellate procedure. If you find yourself involved in a similar foreclosure appeal, contact me to see if I can help. This entry was posted in Massachusetts Foreclosure Law Blog and tagged appeals, court decisions, Foreclosure law, Massachusetts eviction. Bookmark the permalink.